Bioart critiques range from drawing attention to the conditions of public understanding of science to critiques of specific technical procedures. Bioart includes both literal material critiques of science to more conceptual work; most work plays on both of these chords and provides the viewer both a layer of intellectual engagement with the process and a physical object that encodes the philosophy or proposes a problem for consideration. For example, SymbioticA’s “Victimless Leather” was a tissue culture project shown at the MoMA in 2008 at “Design and the Elastic Mind.” It consisted of a tiny coat made of living cells seeded into a polymer matrix. 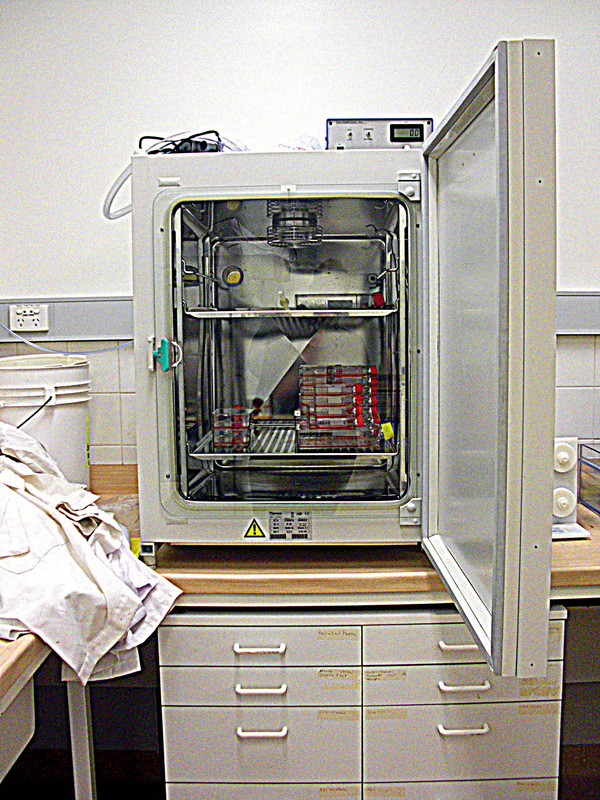 The piece demonstrated the ethical and scientific ironies of a living garment, including the tiny size that is all that can be achieved through current tissue culture techniques and the fact that maintaining such a so-called victimless jacket, like all cells cultured in the laboratory setting, requires the consistent use of a bovine serum which, in turn, involves the deathof many calves. The piece also raises issues about the use of living systems in artwork. This constellation of issues, with emphasize on the last, have been collectively referred to by the artists as the “aesthetics of care.” The project drew the attention of the press when the cellular growth began to interfere with the tube used to deliver nutrients; subsequently feeding was discontinued, thereby killing the artwork. I analyzed the ways we can understand scientific practices and expertise employed by bioartists, and how they go about rhetorically and materially fitting their work into the categories art and science. for fieldwork in Perth, Australia. 2009. “SymbioticA: The Practices of Art and Science.” 2009. Einaudi Center for International Studies. Research Travel Grant.